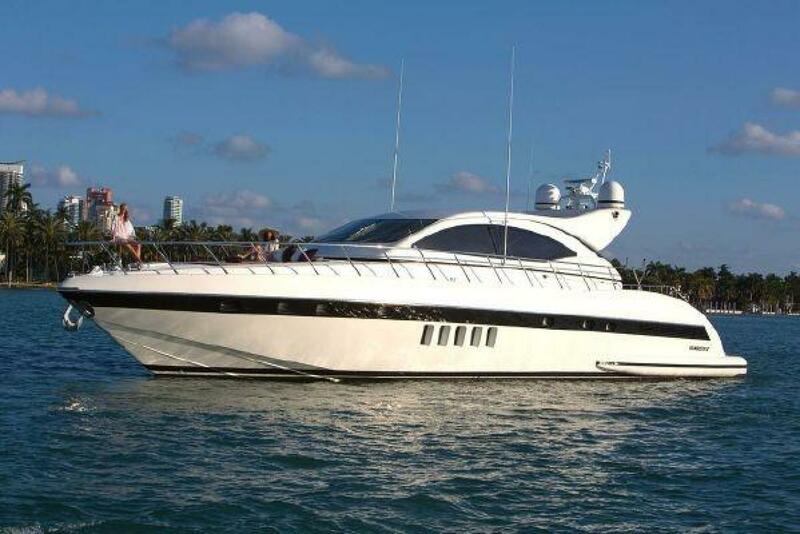 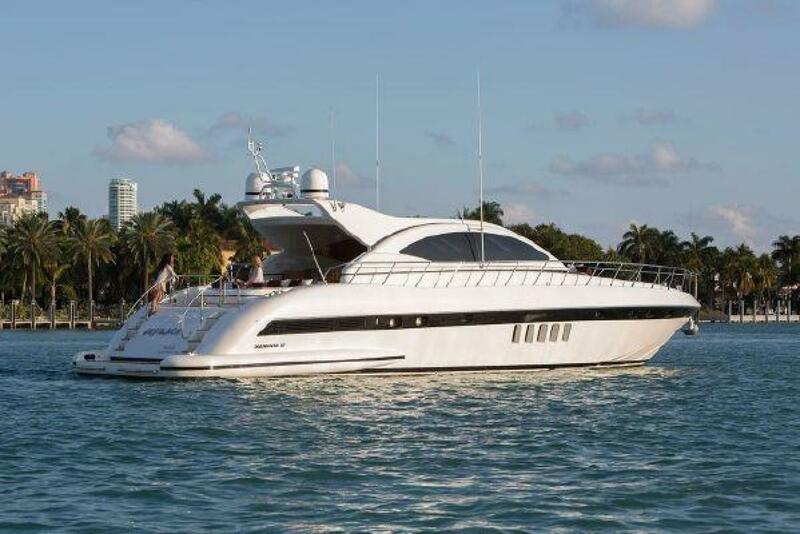 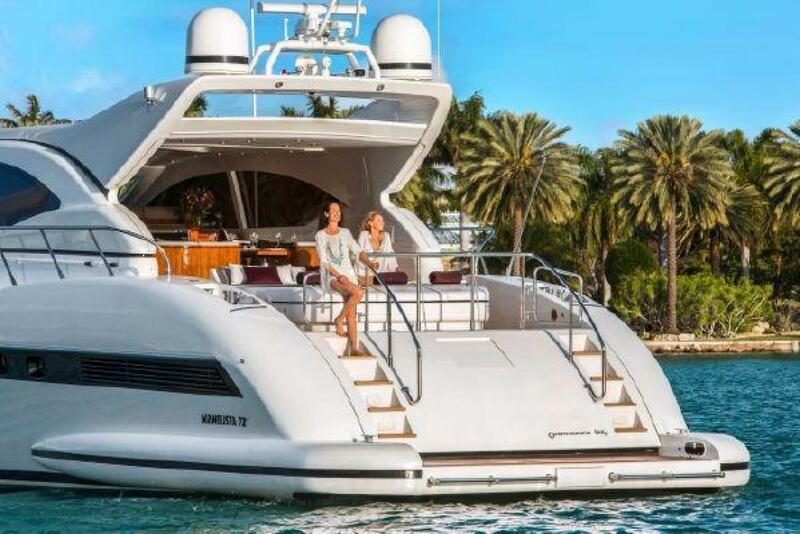 YCM is your invitation to join the Mangusta family with a fast and elegant design that has been tastefully appointed and well maintained by its owner. 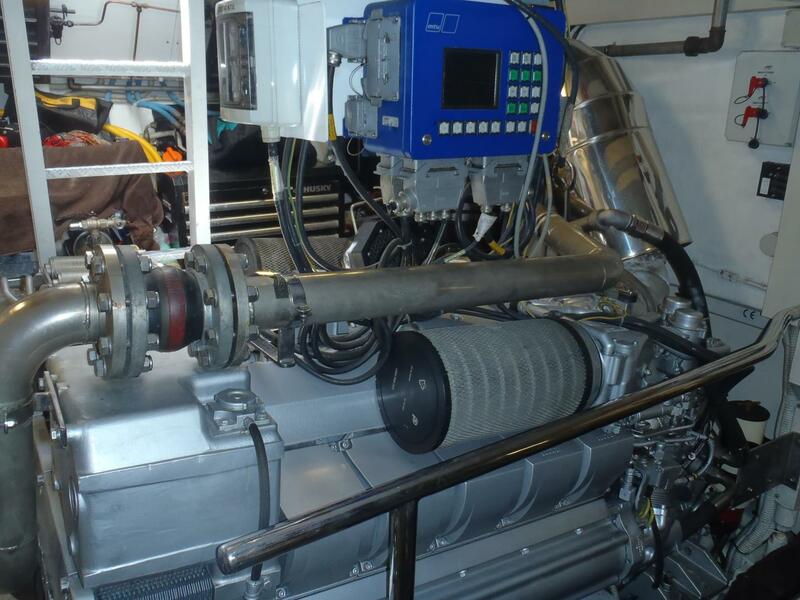 Manufactured in 2006, refit in 2013, enjoyed and upgraded along the way including recent engine overhauls with less than 450 hours running time. 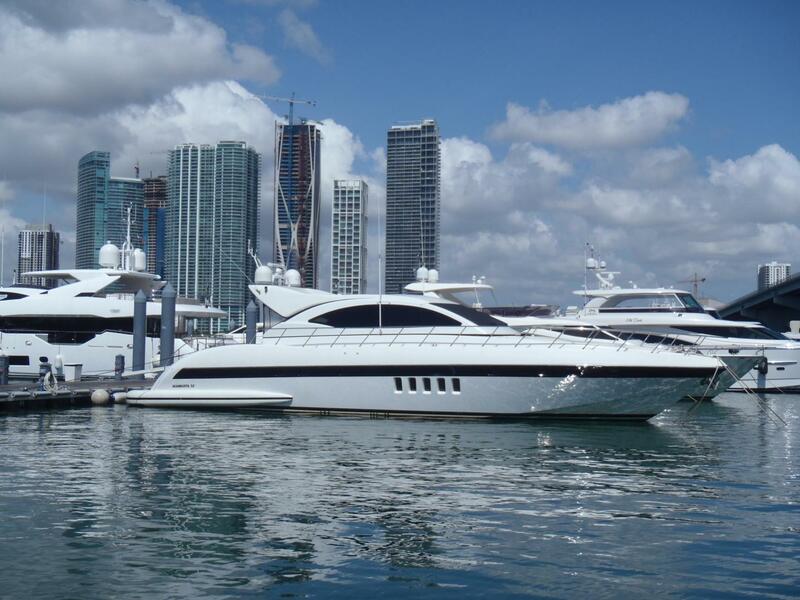 At top speed or cruise, the twin 1500 HP MTU engines deliver the power to gain maximum performance from this time tested Mangusta hull form. 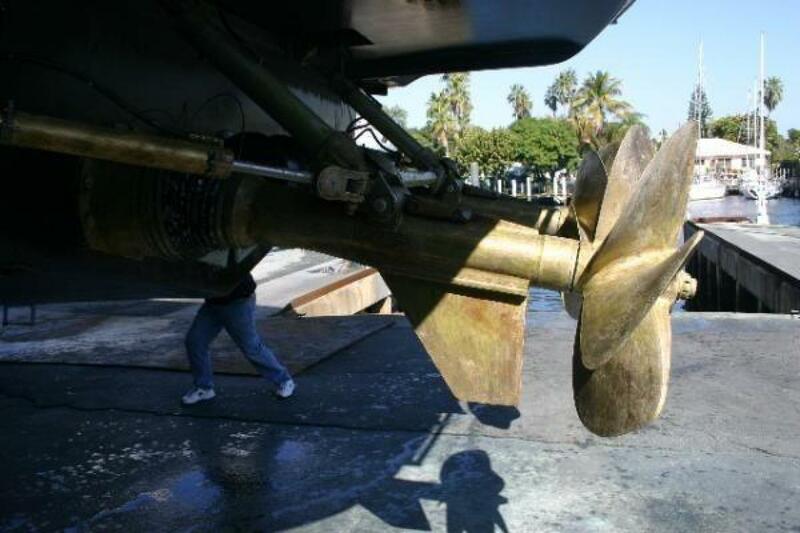 Bow and stern thrusters make docking even in the tightest quarters a simple affair. 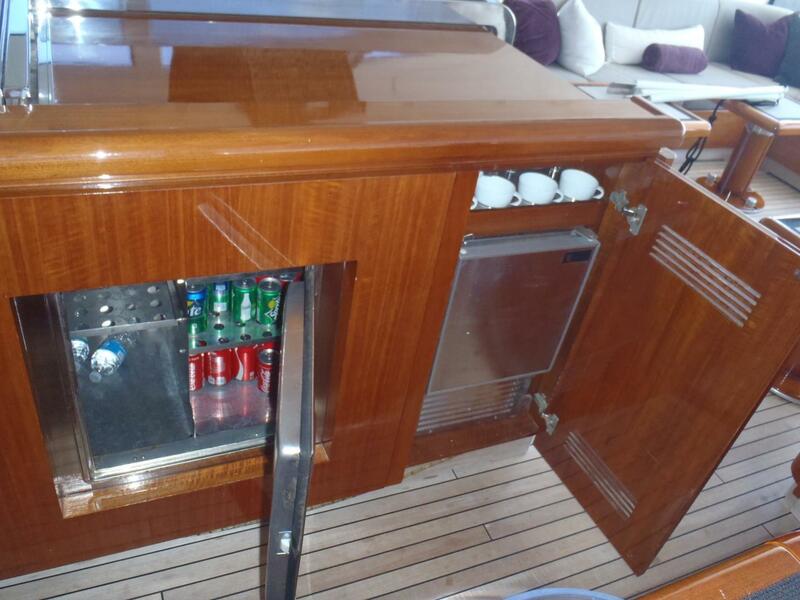 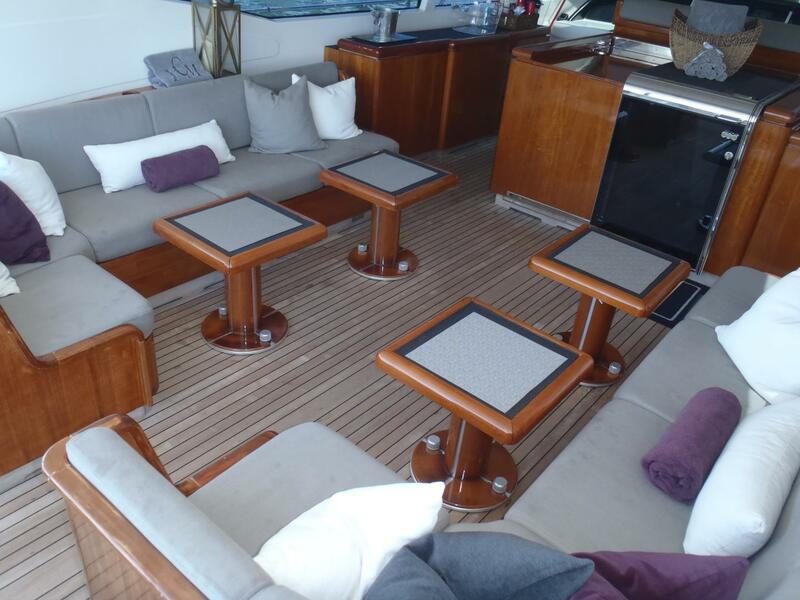 Below decks the vessel is constructed of high gloss anigre veneers and solid timbers and trimmed out with rish, striking marble tops from Spain. 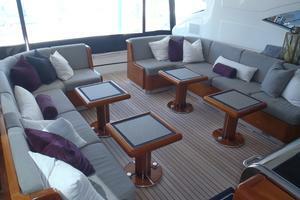 Elegant fabrics, carpets and soft goods complement the modern joinery. 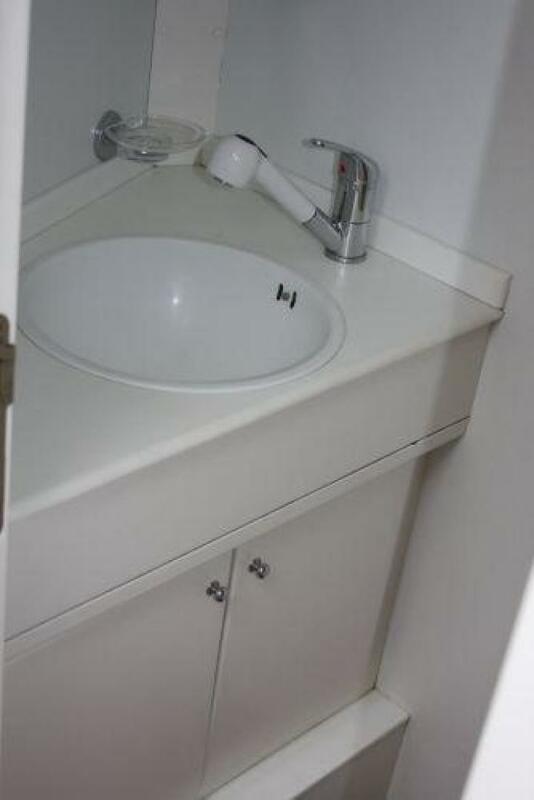 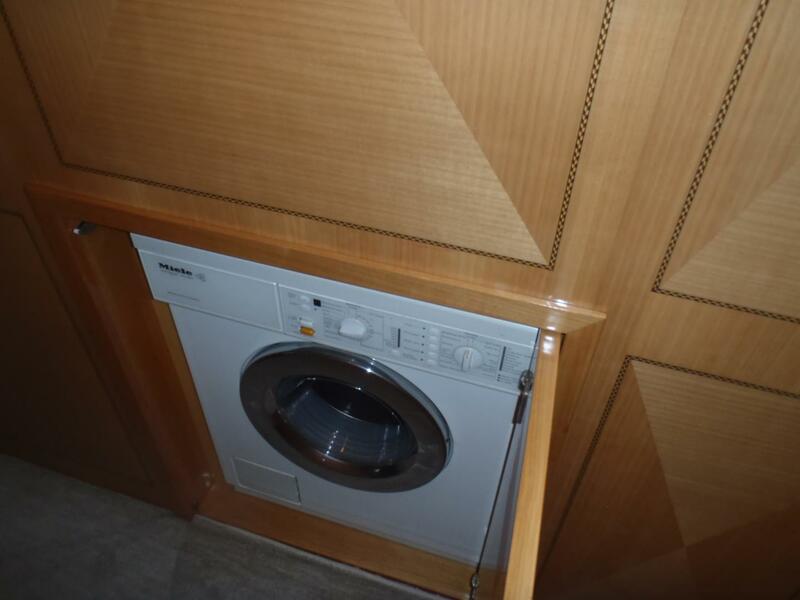 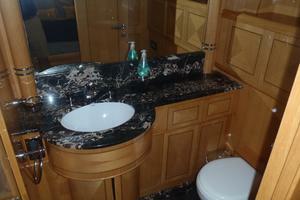 There is a full beam master stateroom forward with an ensuite head. 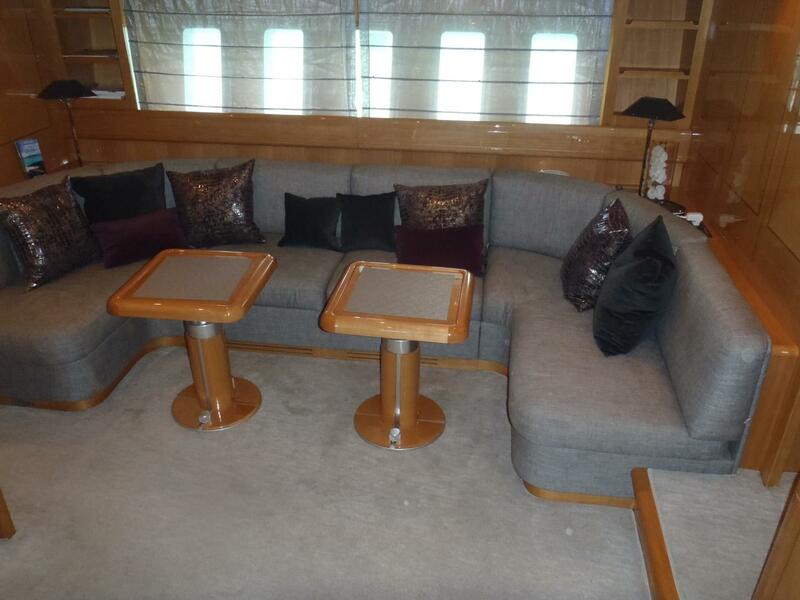 Amidship there is an intimate lounge with entertainment center, oversized windows for views to the sea and an efficient galley. 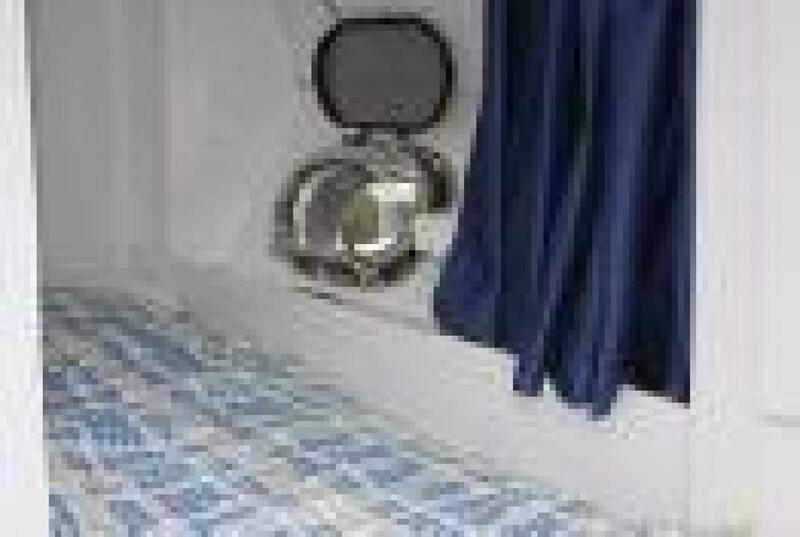 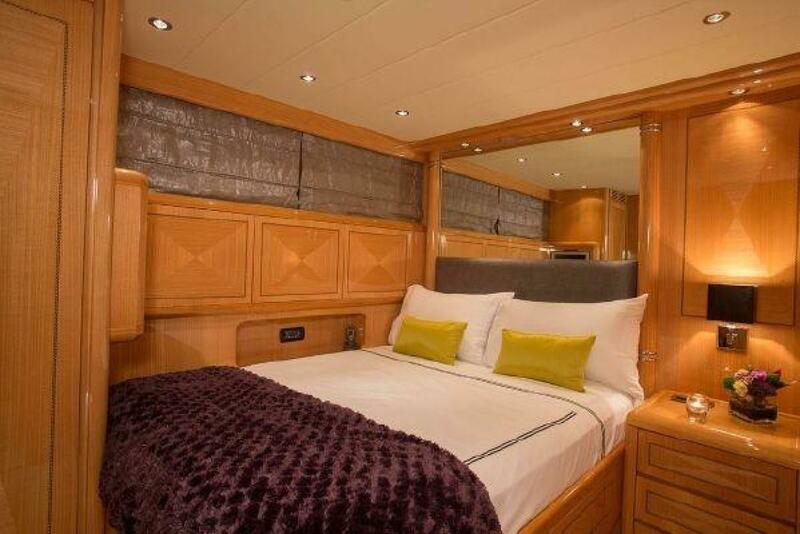 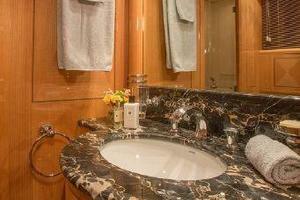 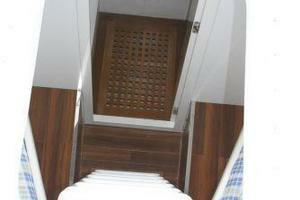 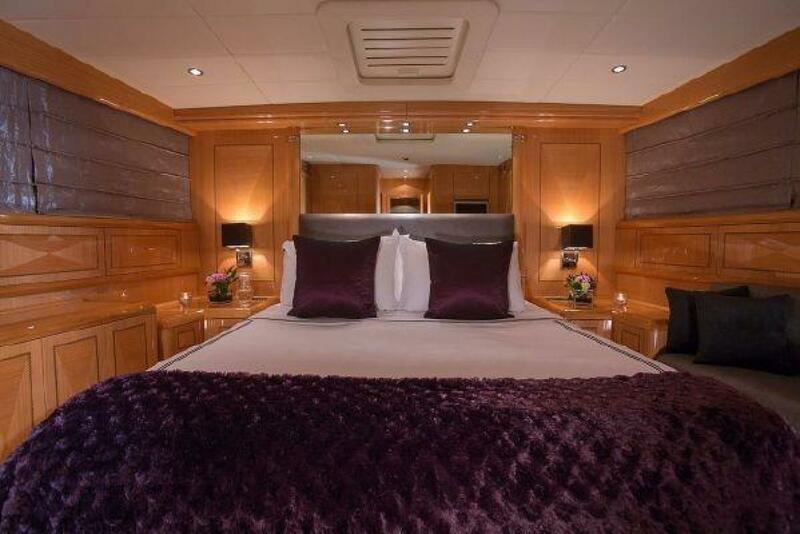 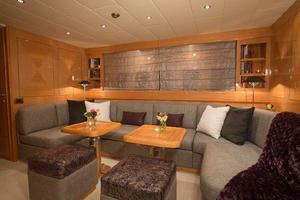 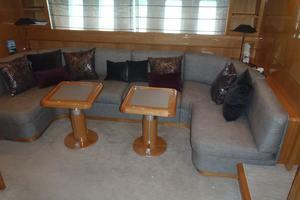 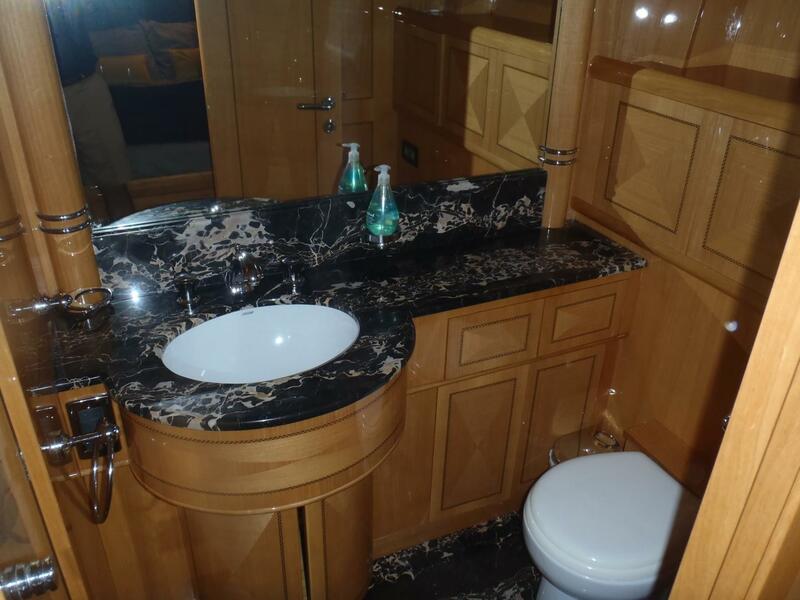 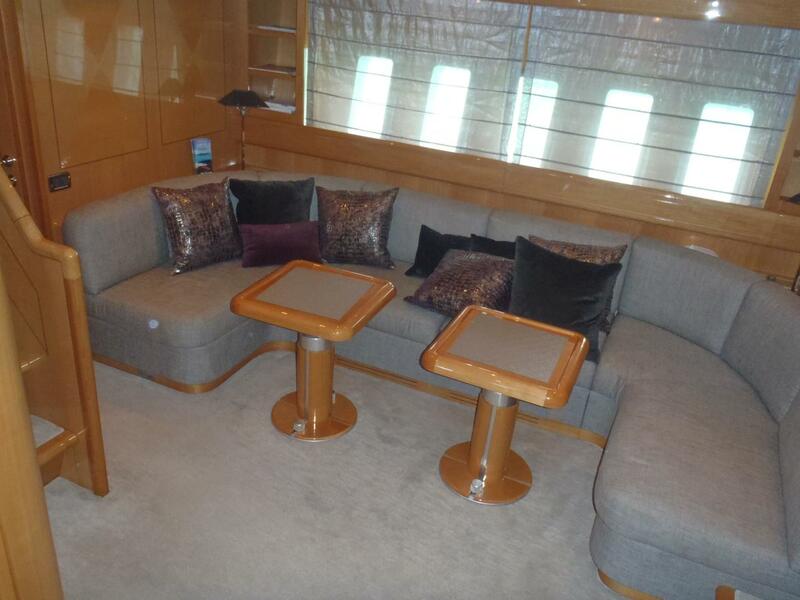 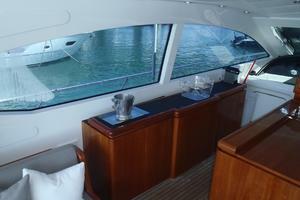 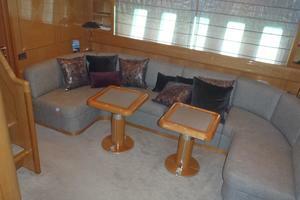 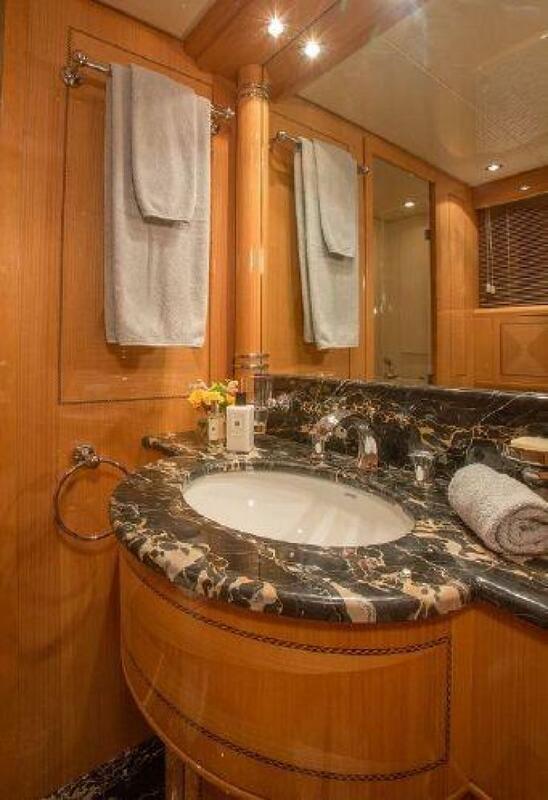 Aft are two guest cabins one with twin berths and one with a queen, both well appointed also with ensuite heads. 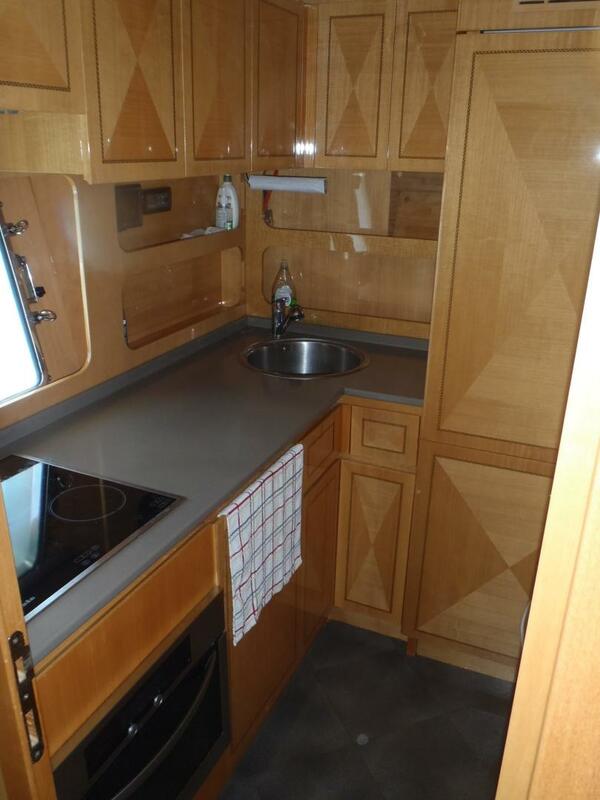 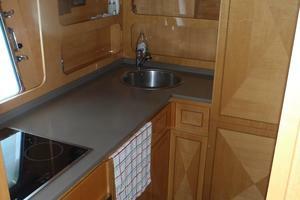 In the forepeak there is a crew accommodation for two persons. 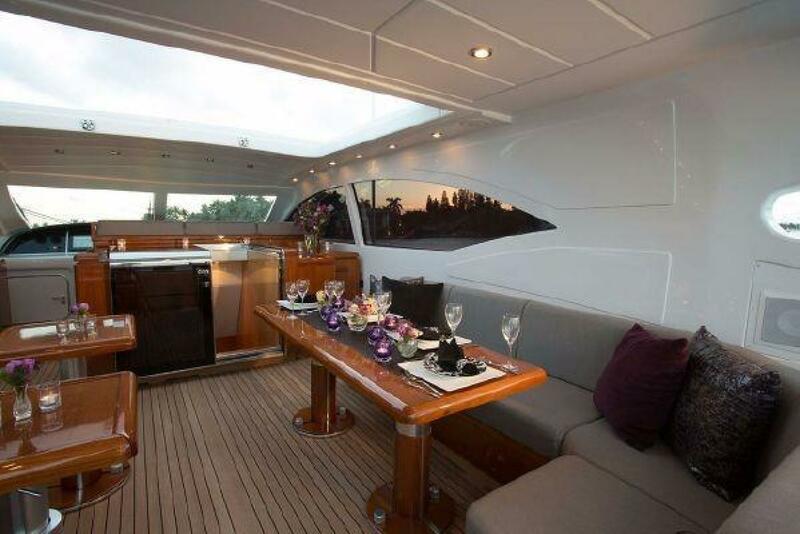 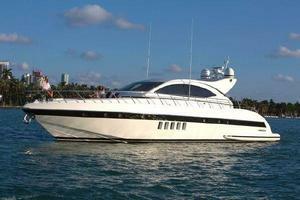 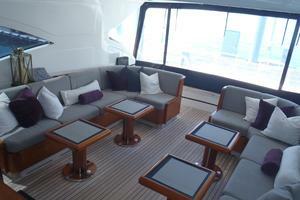 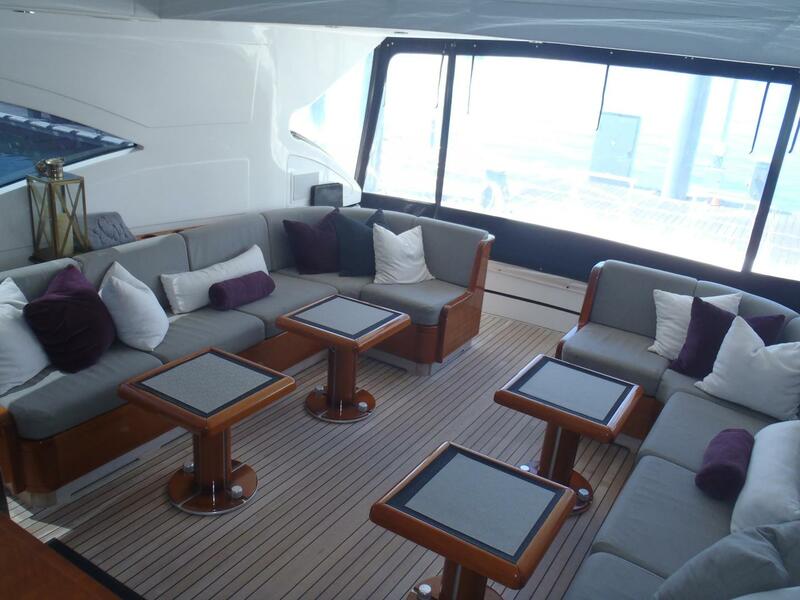 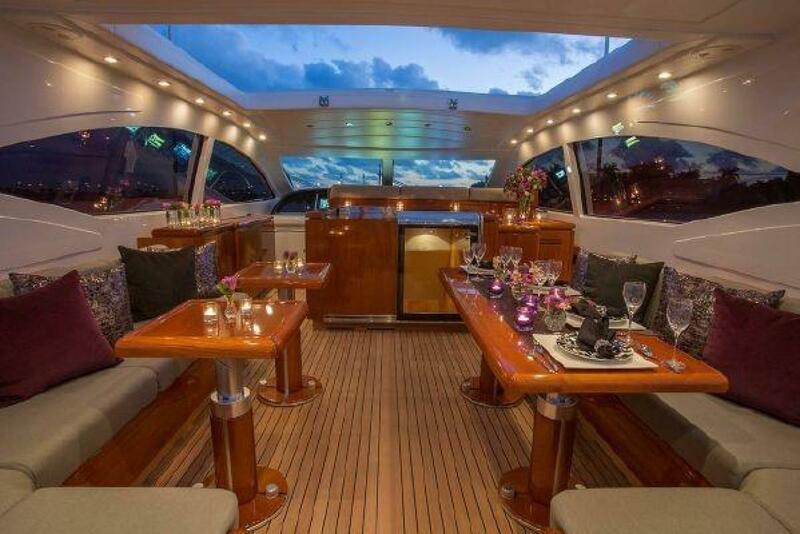 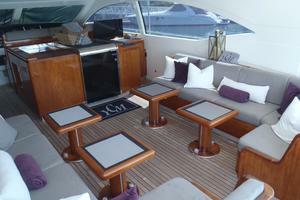 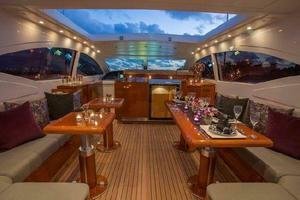 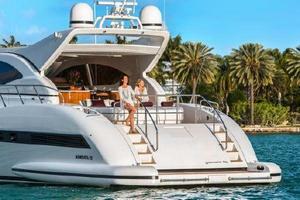 On the main deck the yacht comes alive with a grand indoor/outdoor entertainment area, the very heart of any Mangusta. 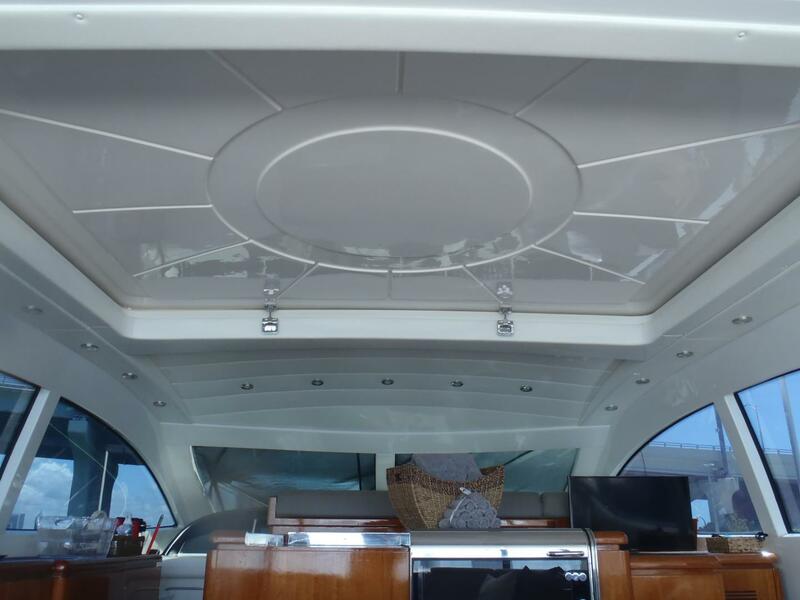 A full beam sunroof opens to the stars by night or shelters persons within the air conditioned salon during the days. 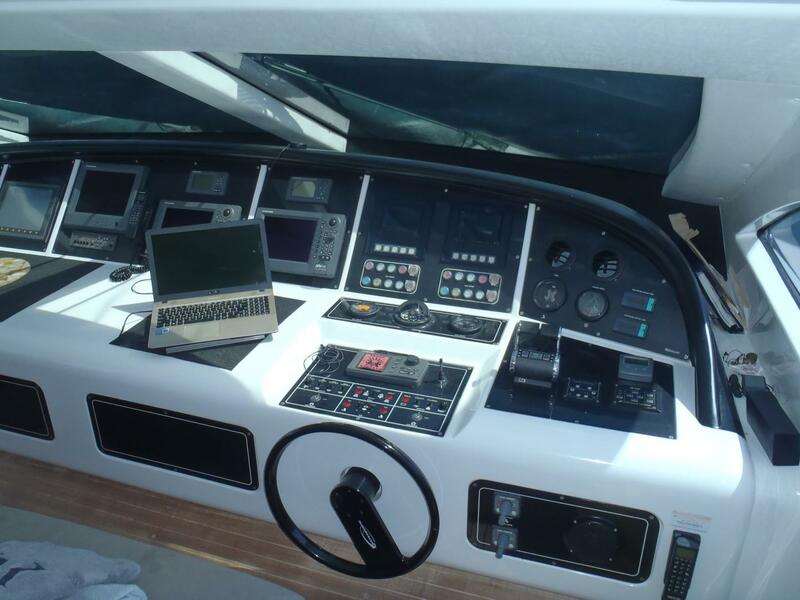 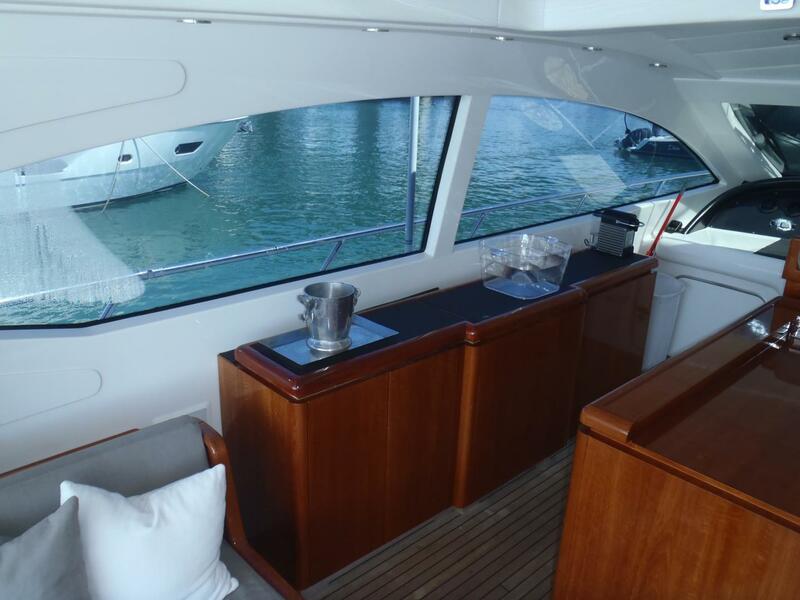 A modern helm console and oversized bench seat encourages friends and family to take in the tactical joys of driving such a yacht. 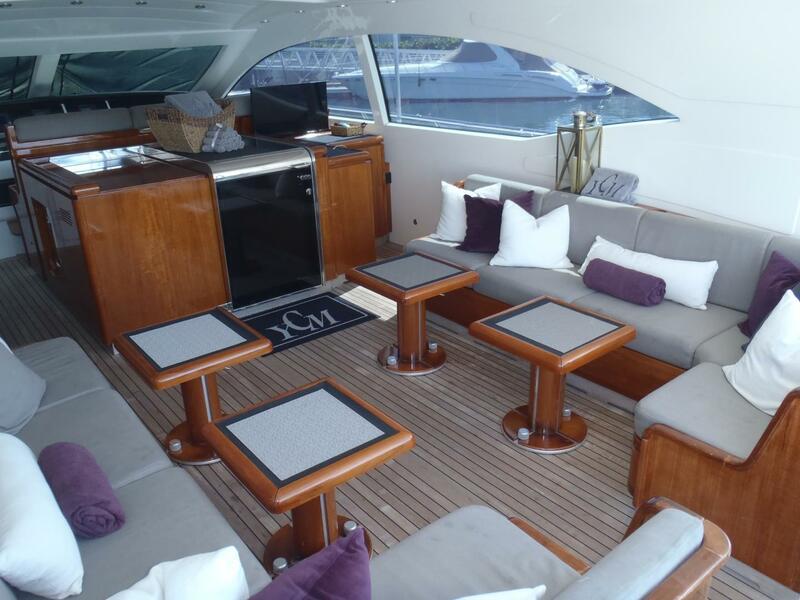 Aft of the helm is a full bar and buffet set up to support the dining and lounging areas so central to the on-deck salon of each and every Mangusta. 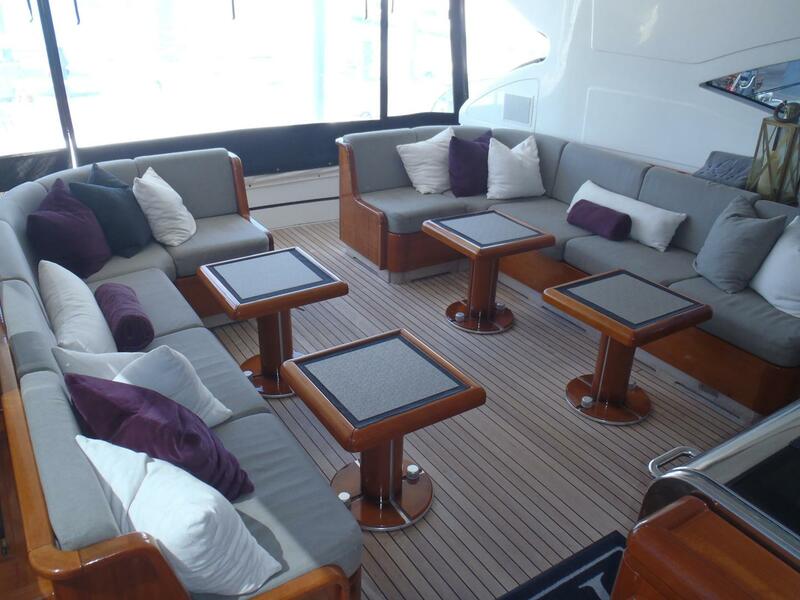 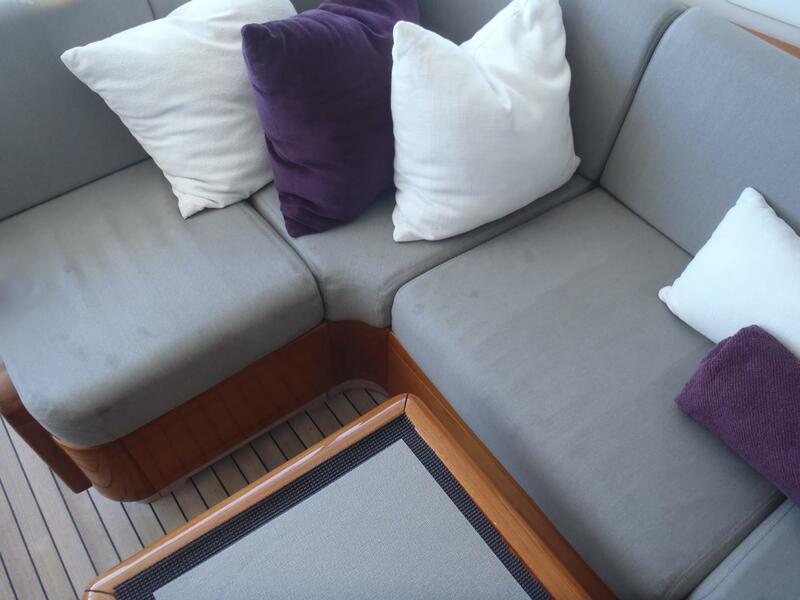 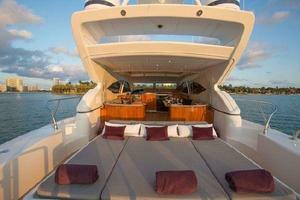 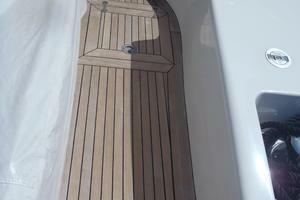 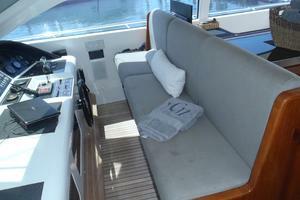 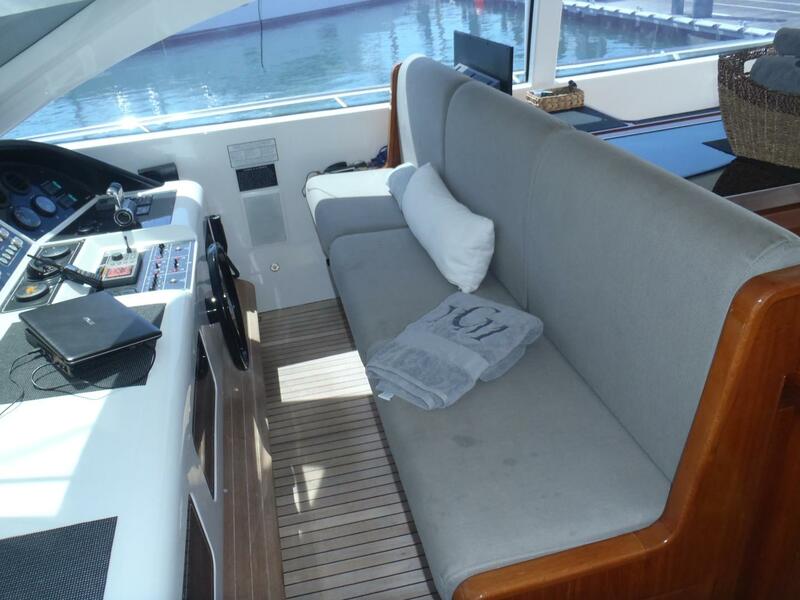 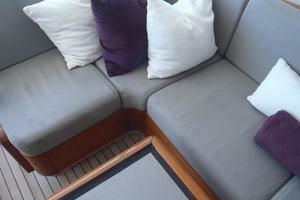 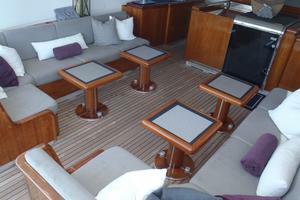 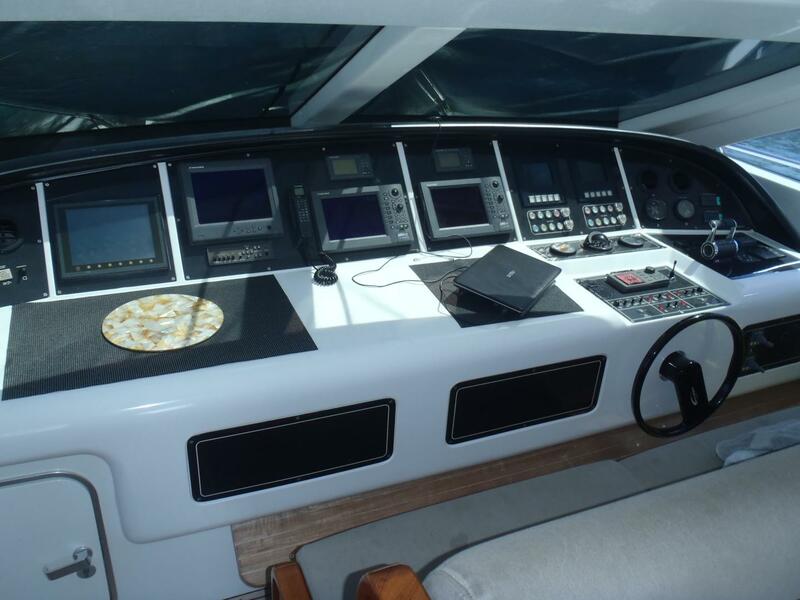 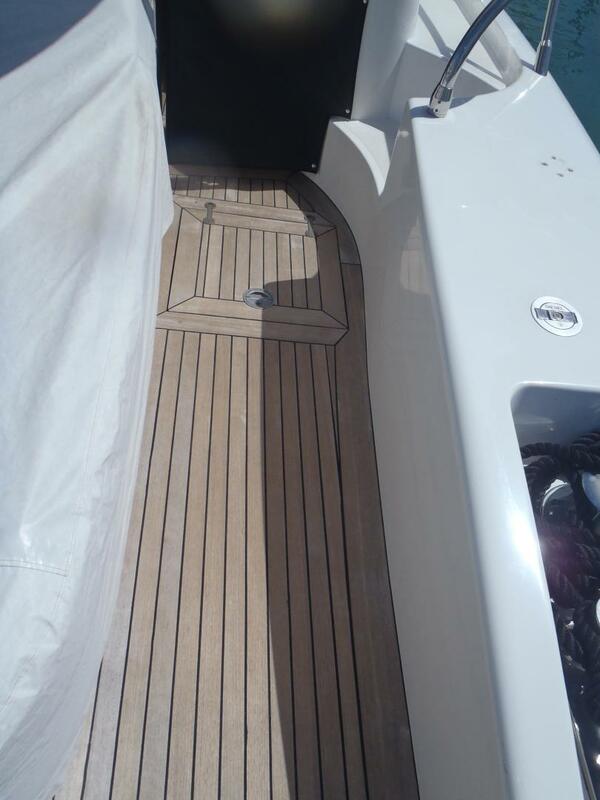 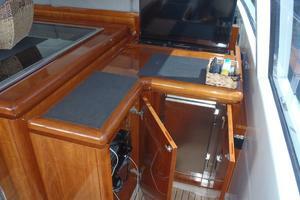 On the aft deck there is an oversized sun pad and dual steps to a generous swim step. 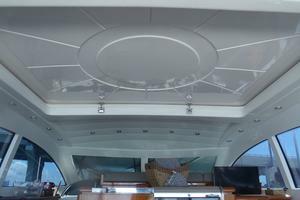 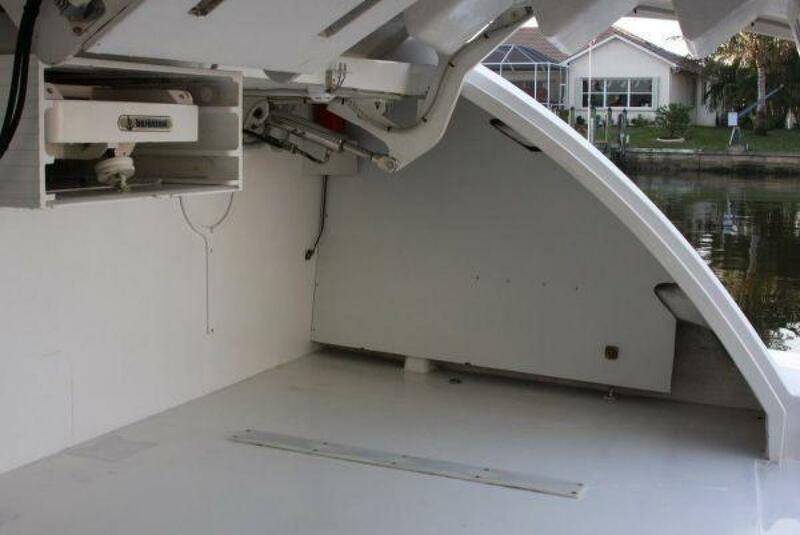 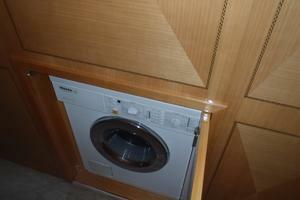 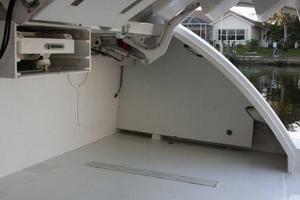 The transom opens as a garage for tender and toy storage. 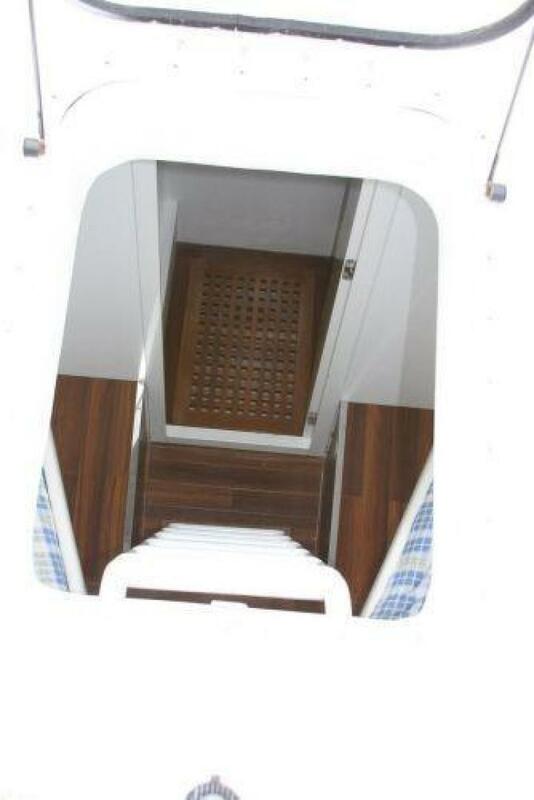 On the bow a very large sun pad dominates the coach house en route to a concealed anchoring station and a crew cabin accessed via a flush bow hatch. 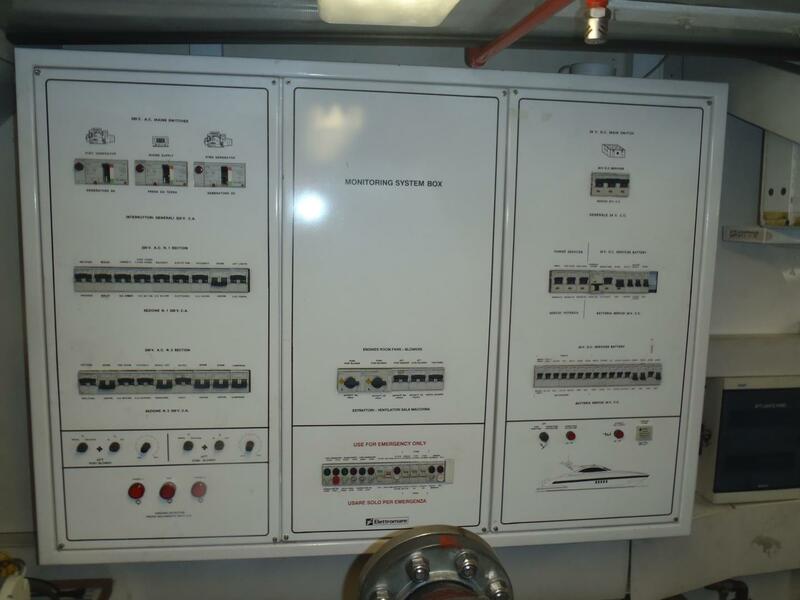 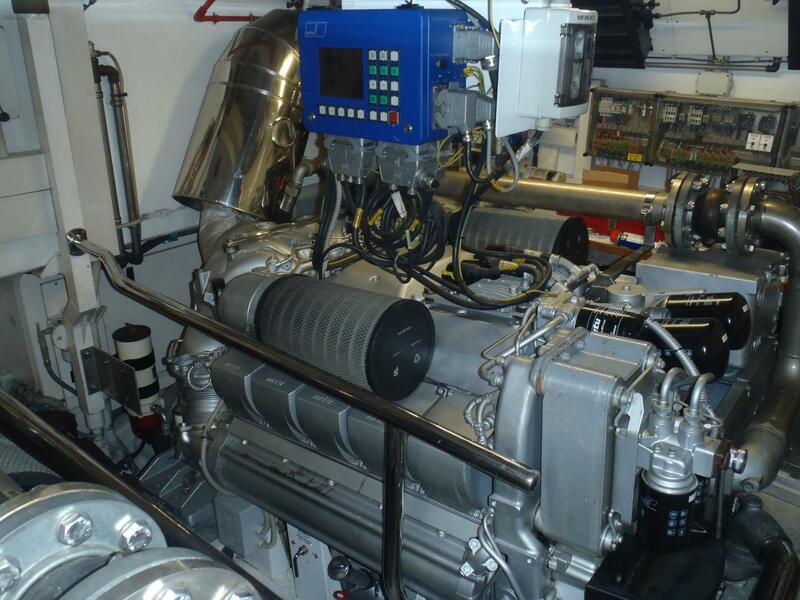 The engine room and mechanical spaces include twin generators, water maker, air conditioning compressors, control panels, and more. 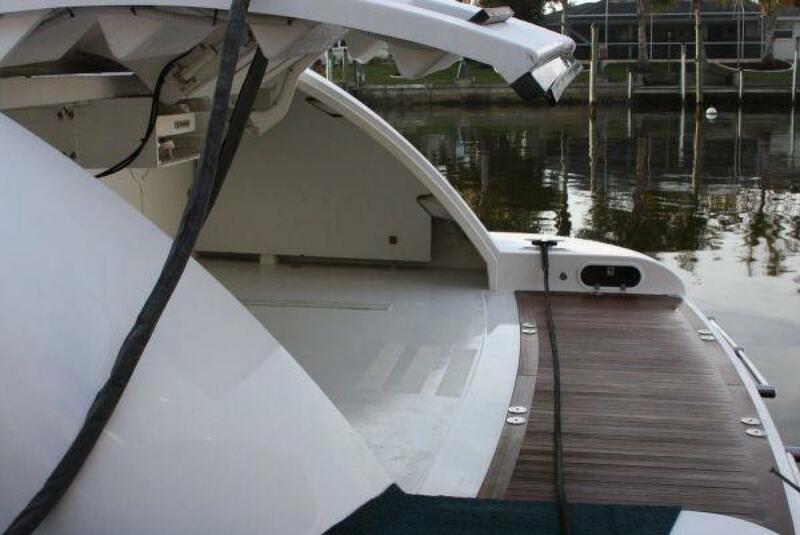 All soles are diamond plate removable type and entire space is insulated for sound and vibration reduction. 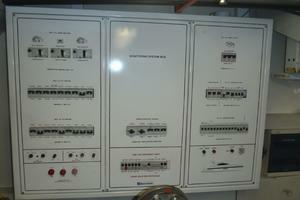 All switching and manifolds are straight forward and easily accessible. 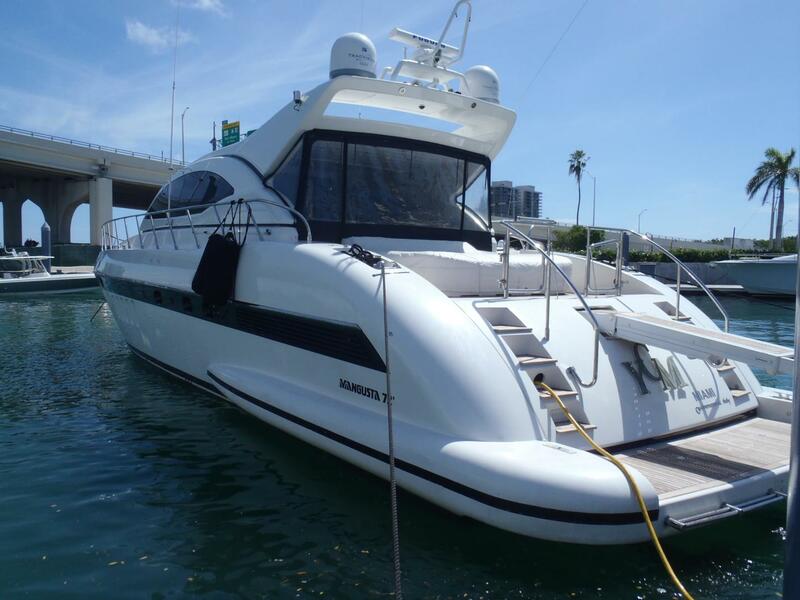 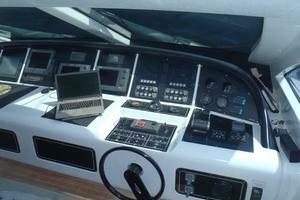 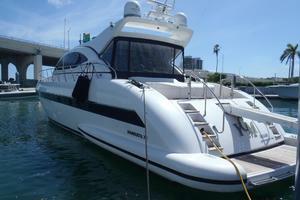 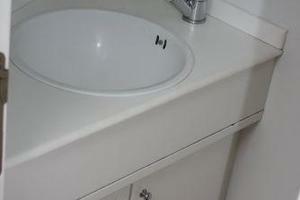 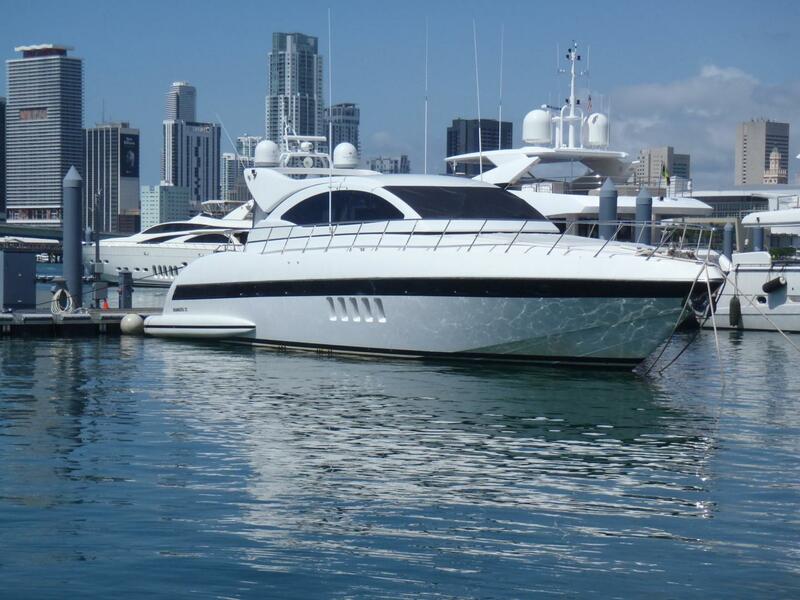 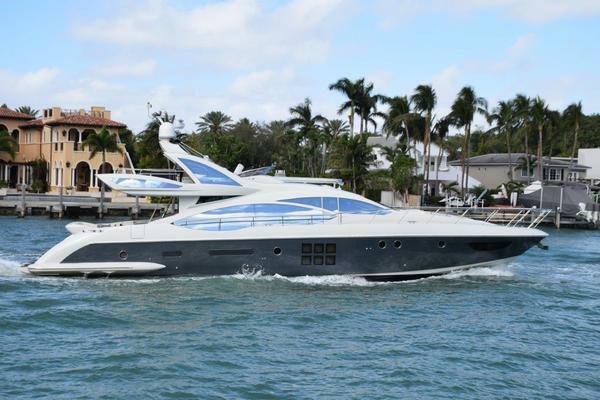 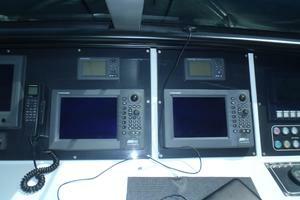 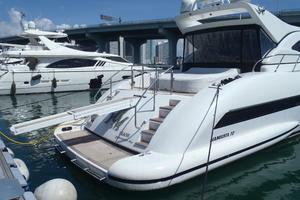 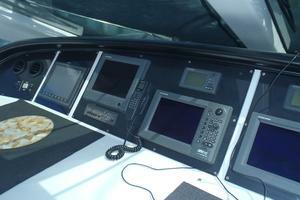 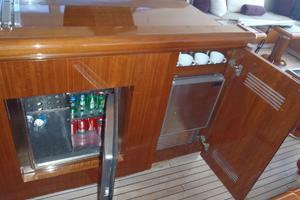 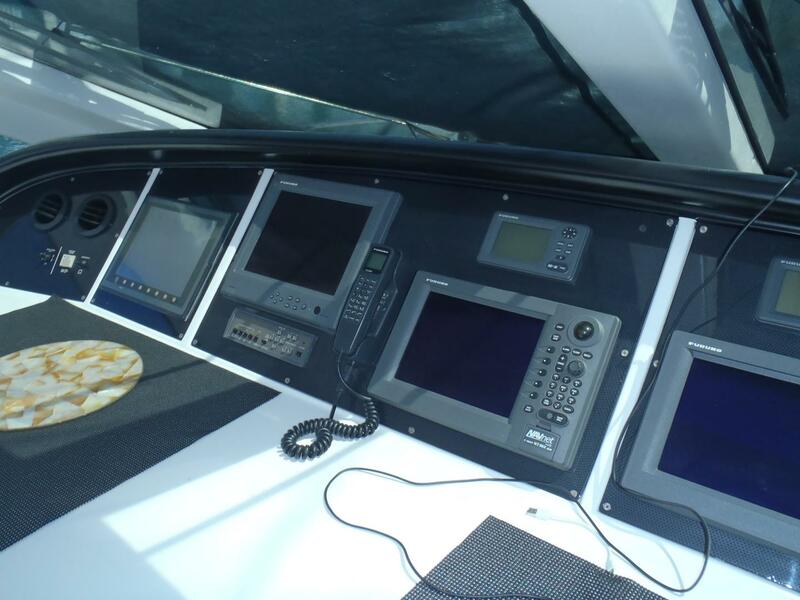 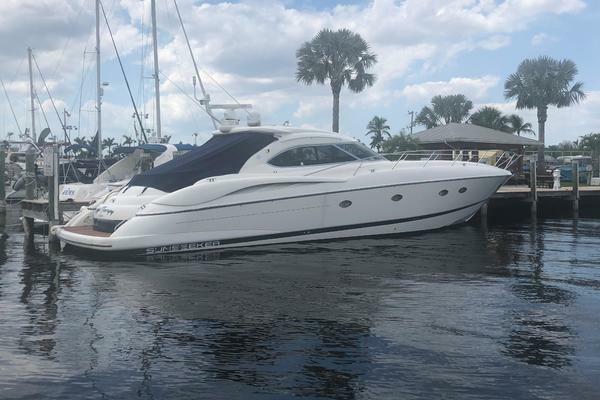 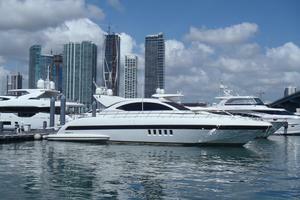 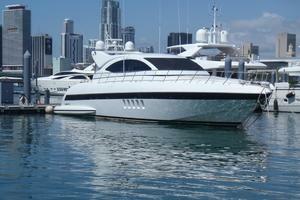 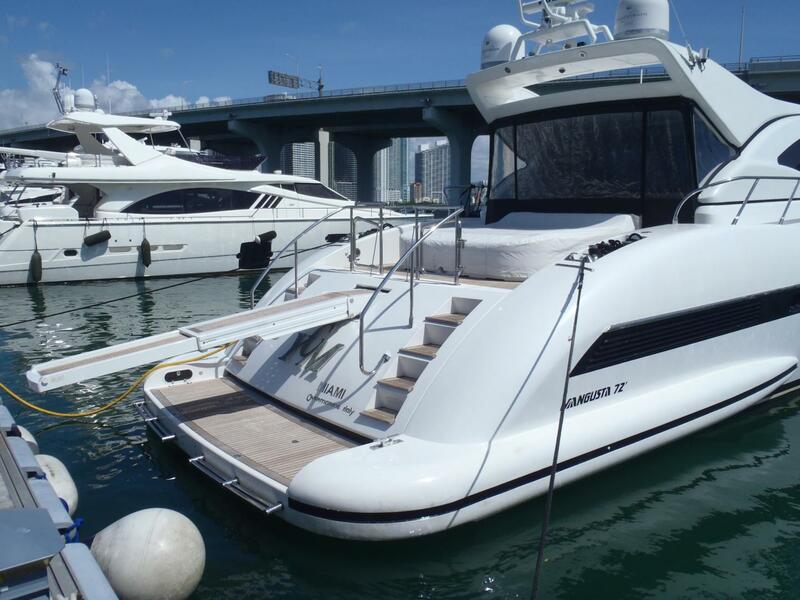 Vessel is priced to sell and ready for new owners. 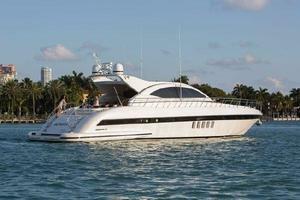 YCM is a beautiful example of Mangusta's dominance in the high performance luxury express yacht field. 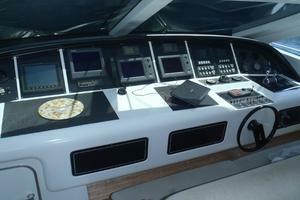 Her sleek looks, high tech concept and advanced engineering make her very rare in a market filled with wanna-bees. 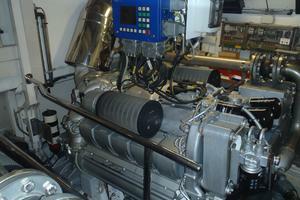 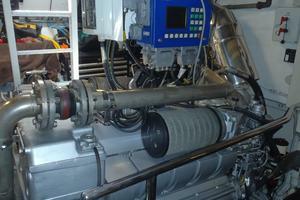 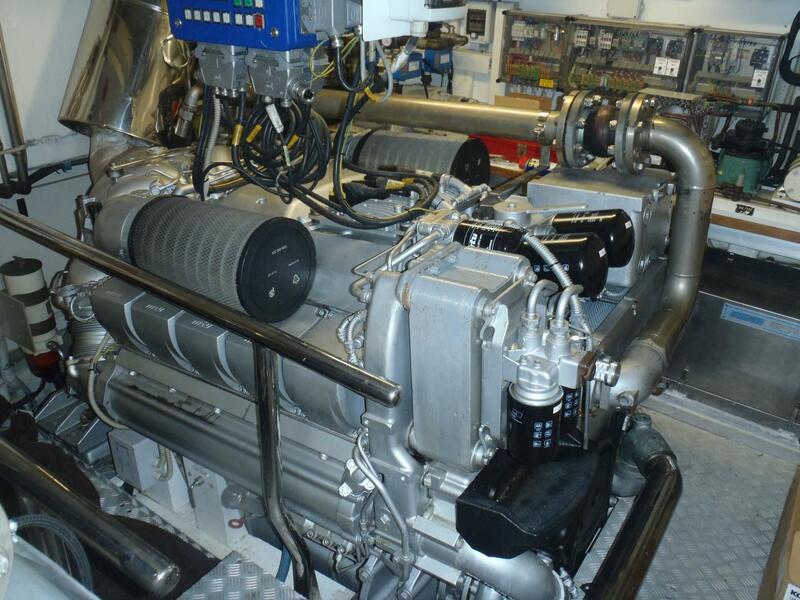 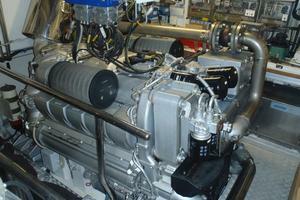 Her engines have approximately 450 hours since major overhaul and her systems and exterior has enjoyed exceptional care. 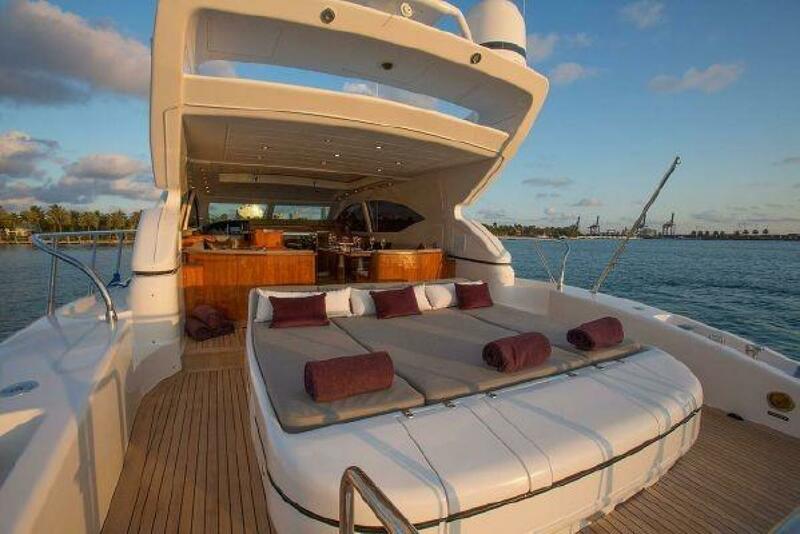 Don't miss this stunning piece. 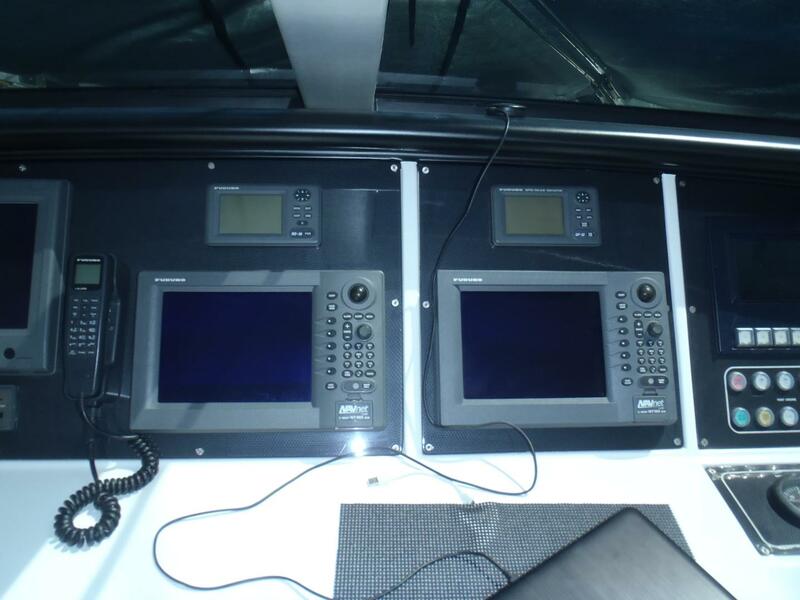 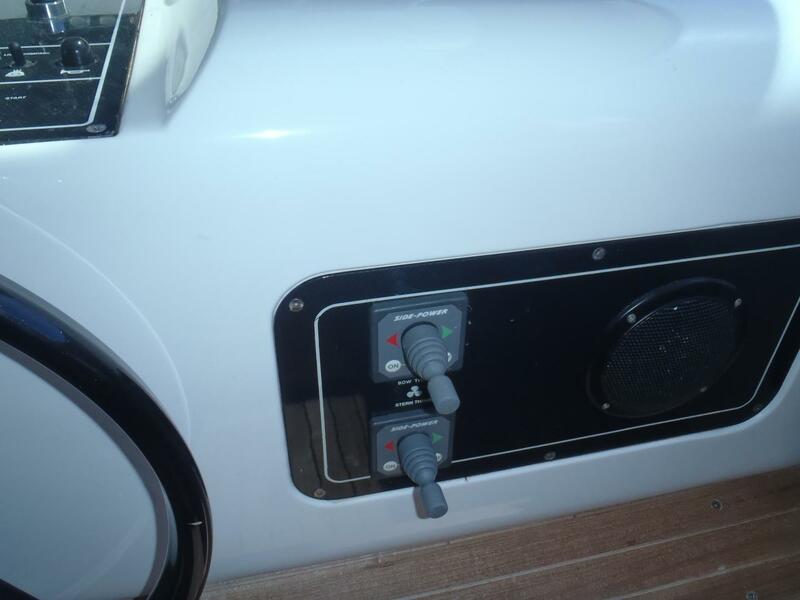 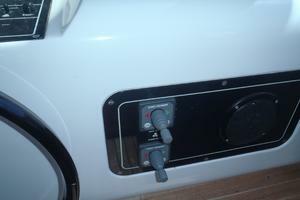 YCM has a 50 hertz, 220 Volt electrical system with adapters.